Marina has been teaching Italian as a second language since 2003. 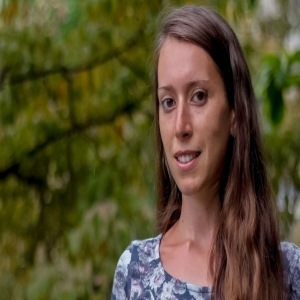 Marina was born near the Italian Alps in Pordenone and raised bilingually in Athens, Greece. 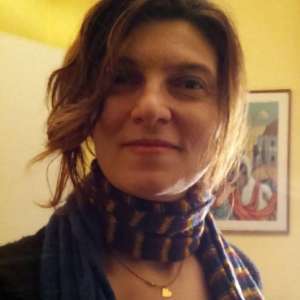 She has a teaching degree from the Università degli Studi di Padova and has been teaching Italian since 2003 for the prestigious Istituto Italiano di Cultura in both Athens and Brussels, amongst others. Her latest teaching experience was with babies as young as 1.5!!! She is fond of languages and bilingualism and that’s the reason why she is raising her kids trilingually! She loves traveling and she’s building a huge bucket list with places to visit all over the world. She is an avid user of the social media and a fervent volunteer where there are people in need. She is originally from Italy and currently resides in Greece. Learning a language must be fun like it is when we learn our mother tongue as babies. And mistakes are our friends, there is no improvement without them and no shortcut to fluency! So let's have fun and make mistakes! According to your own personal needs (everyday usage of Italian, academic or business needs etc) we will work on special exercises (written, oral) in order for you to feel comfortable with the language and learn with minimum effort. We will listen to Italian music and why not sing along, we will watch Italian TV and play online quizzes, we will read articles according to your personal interests (if you are fond of food we will visit Sonia Peronaci's site, If you love the F1 we will study the Ferrari in detail, If you like travelling we will visit virtually the Cappella Sistina and learn everything about the history of Venice). I love reading everything new about multilingualism and the benefits it offers for the human brain. I am also fond of social media, and I communicate and exchange info with friends and colleagues through them. I am a firm believer that Attachment Parenting is what will help us raise better human beings and I love to personally help women reach their breastfeeding goals. I'm into volunteering and I read books on Personal development. I love traveling and travel quite often with my family!